I’m loving it here at cat camp. This morning I’ve been in the jungle and climbed the tree! There’s a safety net around the whole jungle which means I can’t quite make it to the top but it’s still lots of fun. My Siamese friend that was here last time, is also here in the little chalet next to mine, so we’re enjoying singing to the birds together. As most of you know, I’ve been to cat camp a couple of times now, and until today I didn’t realise that there is also a huge turtle that lives in the jungle. He’s about three times the size of my turtles! When I first saw him I couldn’t believe my eyes. I’m also missing their my heat lamp. When I close my eyes I can pretend to be anywhere in the world! I hope you all have a fantastic weekend with wonderful weather! 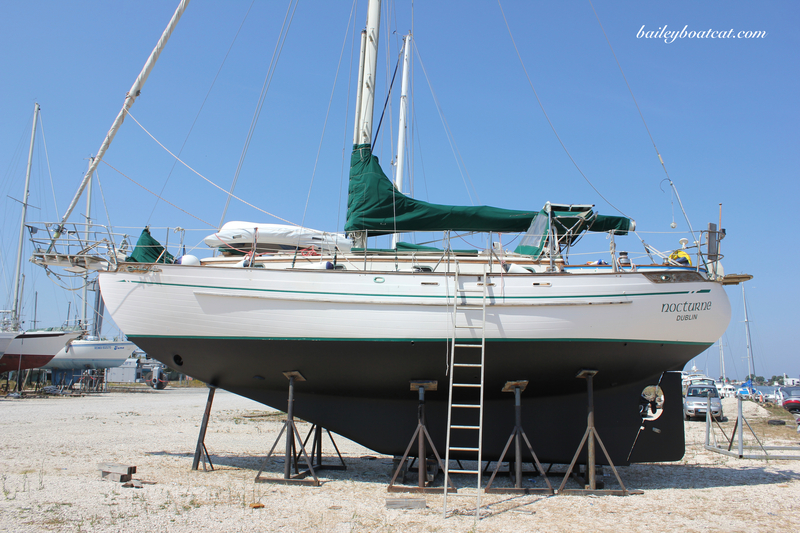 Sounds like you’re enjoying your time at camp Bailey – that’s wonderful! I know you probably miss your Mom and Dad and I’m SURE they miss you too. Meanwhile, have FUN! Who doesn’t love a heat lamp! Bailey mew are so cool mew ooze pawsomeness! Cat camp sounds wonderful and a dream of a place, I long to visit and sing the kitty chatter song to the birdies with mew. How amazing to see such a huge turtle, I’ve never seen one in person before. Mew are lucky to have a few as pets, they look cute and it’s sweet of mew to share mewz heat lamp with them. MOL! 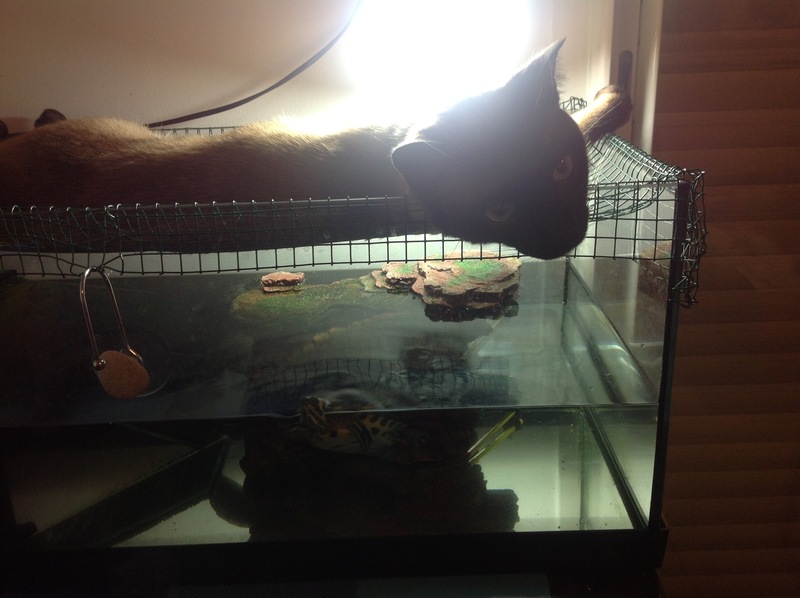 Poor turtle…give him back his heat lamp!! Camp life seems to be real comfy. Be well. This cat camp sounds like an interesting place – you even get a turtle! What a great sleeping spot. Cat camp? I’ve never heard of such a thing! My cat does not like being separated from me though. She howls out the window when I am only in the garden, and when I come back from the store she meows really loudly and I need to reassure her lots. Yow you iz back at kitteh camp?? We had no idea!! hope you n yer furend have lotz of fun. 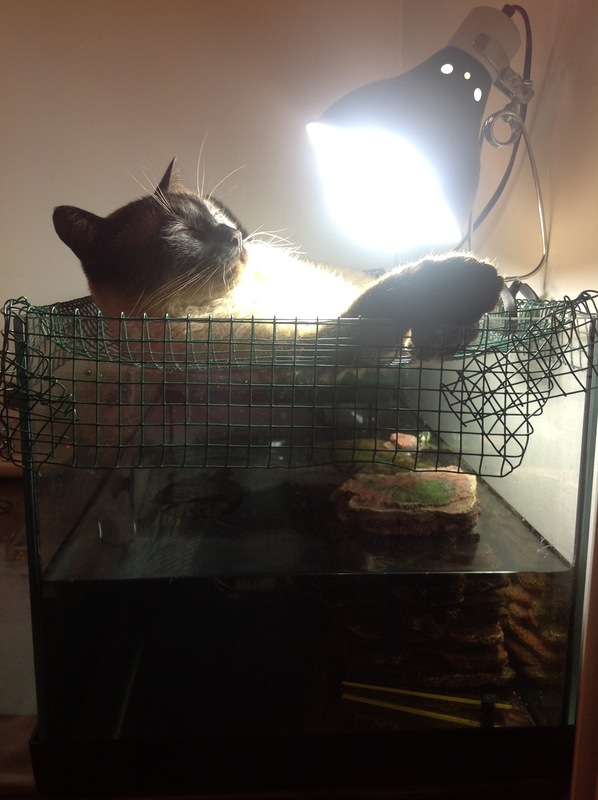 Bet you iz missin da turtlez…n da heatlamp…you looz so cute sunnin yerself under it…..bet yer turtlez wunder where dere light goez when you are over top of dem, MOL! Hope you’re having a great time Bailey! Valerie…Bobo needs one of these heat lamps..ha ha..
Am fixing Cheeto and me a larger piece of swai!! yummy…Just had my arugula with dressing, then my rice and now the swai….I will check the scales…I need to lose weight to take pressure off the knees for sure.